An oversized abacus is the eye-catching element on this stand. Symbolising arithmetic, the abacus draws attention to the subject of “dealing with money”. 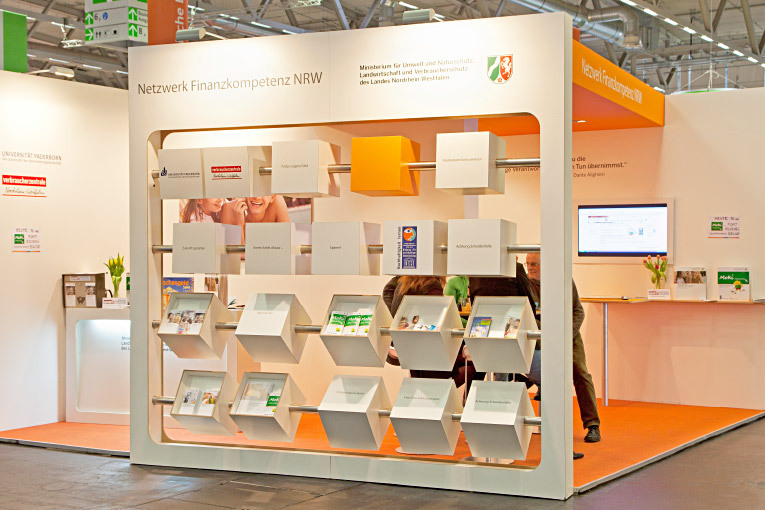 The individual rotating cubes introduce the subjects discussed by the Finanzkompetenz NRW network, e.g. “Beware of the debt trap”, “Looking after your own money” and “Shaping the future”.